I apologise for the delay in sending this email. Last week I was at my HypnoBirthing Practitioner Training, then away for the weekend camping and time got away from me. What a week! The HypnoBirthing Practitioner Training was amazing. Even though I’ve completed the course as a participant, I found that a lot had changed even in the four years since I did the classes. There seemed to be much more focus on having an empowered, calm and positive birth rather than pain-free and a lot more emphasis on the role of the Birth Companion. Again I was fascinated at the incredible ‘dance’ that baby and mother do, choreographed miraculously by nature. The way their bodies work together and the how hormones, endorphins and other natural chemicals begin the process of childbirth and have this cascading effect until bub is born and for some days after! Totally freaking cool! As you’ve probably gathered from the subject line, this week I wanted to talk to you about sleep, or lack there of. Sometimes I just don’t get how nature can get something like childbirth so right but then stuff up so badly when it comes to kids sleeping! 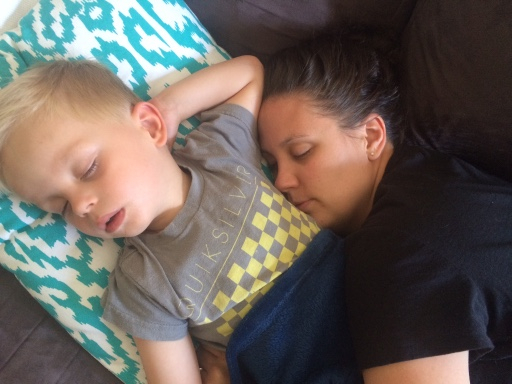 As a parent you need your sleep. It correlates so exactly with how you can handle the day ahead, either with patience, calmness and love or with snapping, frustration and guilt. My son Mason was your typical newborn, waking 3 hourly for feeds then slowly but briefly seemed to be getting close to sleeping through at about 12 weeks by memory. Then came the 3 month sleep regression. Holy crap, it was hideous. He began waking every 30-90 minutes, for weeks and weeks and weeks. We eventually went to sleep school and slowly began the process of getting him to sleep through. Those months broke us though and I can’t bare to take myself back there. Thank goodness we all survived. He then did pretty well for a while but then molars started coming and he was up in the night again. Then it was the move into a big bed and me growing another baby. These little people get their worlds rocked over and over! We were again feeling broken, although my husband was bearing the brunt of the wakeups. I got a reprieve due to my pregnancy. At my mum’s insistence (why does it take so long for us to take their advice?? ), I tried a process called SleepTalk. I was really nervous about trying it because it involves going into their room about 30 minutes after they’ve (finally!!) fallen asleep. I was petrified I would wake him up and we’d have another battle on our hands. The first two nights were fine, then the next he sat up and started talking to me! Eeek, I totally stuffed up and bolted from the room but thankfully he went back to sleep. The next night I was prepared for a wakeup and followed the steps in the program to get him back to sleep. And then he slept through….. Huh. It wasn’t a miracle cure but it got us over a pretty major hurdle we’d been tripping on for about 18 months. He still woke occasionally and to be honest, still does but it far more manageable than what it was and lets face it, he’s a threenager now. SleepTalk isn’t just for sleeping issues. It’s for pretty much anything that can be happening with kids, stuff like bedwetting, shyness, aggression, school performance, speech issues, anxiety, eating problems, ADHD or Autism. It only takes 2-3 minutes each night and my mum has tons of miracle stories about what kids and parents have achieved using it. I would really recommend downloading a copy of our SleepTalk webcast which is based on Joane Gouldings book, SleepTalk for Children. If you use the code; gotosleep you’ll receive 20% off which is valid until the end of April. Check it out HERE. I have also put together an awesome PDF of our 5 Top Sleep Tips. These tips are the work of our entire group of practitioners at Simply Natural Therapies. 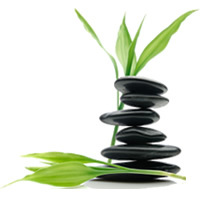 There is amazing stuff about aromatherapy, massage, reflexology, nutrition and heaps more. It’s my gift to you. Just downloadHERE. I’ve really enjoyed using a lot of the tips in there. I feel like I am setting my son up for success now but mainly in the future. Being able to understand the process of relaxation from such a young age is surely a wonderful skill to carry with you through life. Something that is really important to remember is that all of the sleep issues will pass. Although right now, in the moment, it’s hard to believe that one day it will be a distant memory. My advice to you is to celebrate the good nights and look after yourself after the bad. My name is Michelle, I’m a mother of two and have a love for all things children, whether its growing them, birthing them or raising them. I can’t wait to get to know you all and hope you enjoy getting to me too.